In brightest day, in blackest night, no evil shall escape his sight! 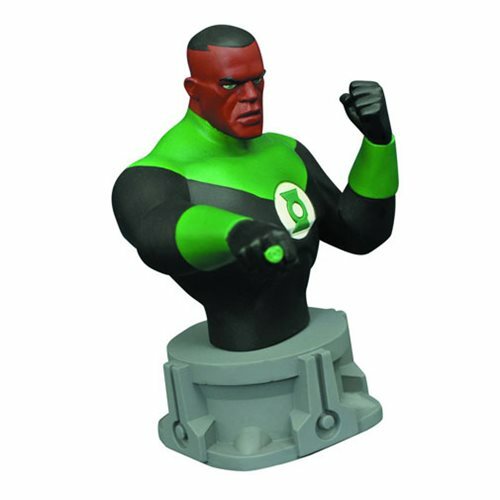 This 6-inch Justice League: The Animated Series Green Lantern Bust joins the ranks of the growing Justice League busts. Green Lantern Jon Stewart is posed with his ring at the ready atop a pedestal base inspired but the League's Watchtower satellite. Limited edition to 3,000 pieces, this stunning resin bust comes packaged in a numbered box along with a numbered certificate of authenticity. Ages 14 and up.